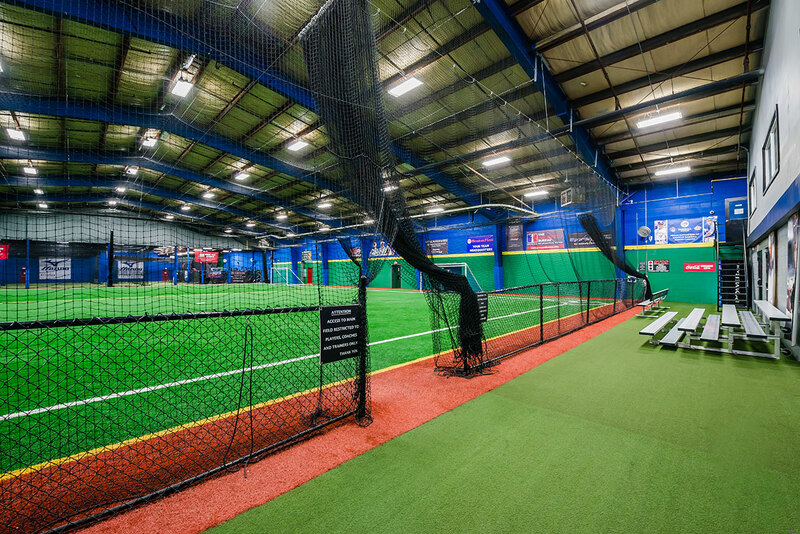 Established in 2007, Centrefield Sports is one of the largest indoor sports facilities in Canada. Our owner, Adam Stern, has played professional baseball with Boston Red Sox, Baltimore Orioles and Milwaukee Brewers. In 2010 he decided to expand his training facility substantially by moving into a 35,000 square foot indoor multi-sport training facility. Today this 45,000 square foot facility is furnished with state of the art Infill Turf (used on professional fields). The centerpiece 20,000 square foot fully turfed field will allow Centrefield to continue to service the Southwestern Ontario baseball, softball and slo-pitch market, and allows them to open the facility up to other sport markets such as soccer and football. The new facility includes many other amenities, such as nine batting cages with pitching machines, a strength and conditioning area, cardio training machines, locker rooms, shower facilities, an upper level viewing area of the field, a members lounge, office rental space, and on site physiotherapist, chiropractor and massage therapy services. Staffed with both professional and semi-pro athletes, Centrefield Sports offers superior coaching and instruction to its clients that is unheard of in the Canadian baseball market. Their main focus is providing local athletes with one of the best indoor facilities in the province, if not the entire country, in which to train. 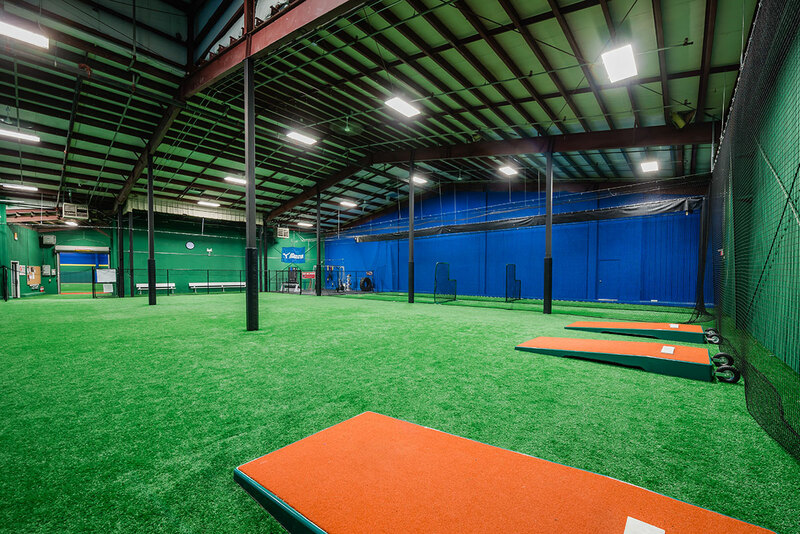 With top notch staff, a spectrum of baseball camps and clinics, private and semi-private instruction, and a state of the art facility open for rental, it is quickly becoming apparent why Centrefield Sports has become the complex of choice for many athletes. Today, Centrefield Sports works with over 3,000 athletes. It is home to over 500 sports teams who come to the indoor facility from as far away as Toronto, Sarnia and Windsor. Athletes are able perform their on and off field training twelve months of the year, all in a comfortable, climate controlled atmosphere. 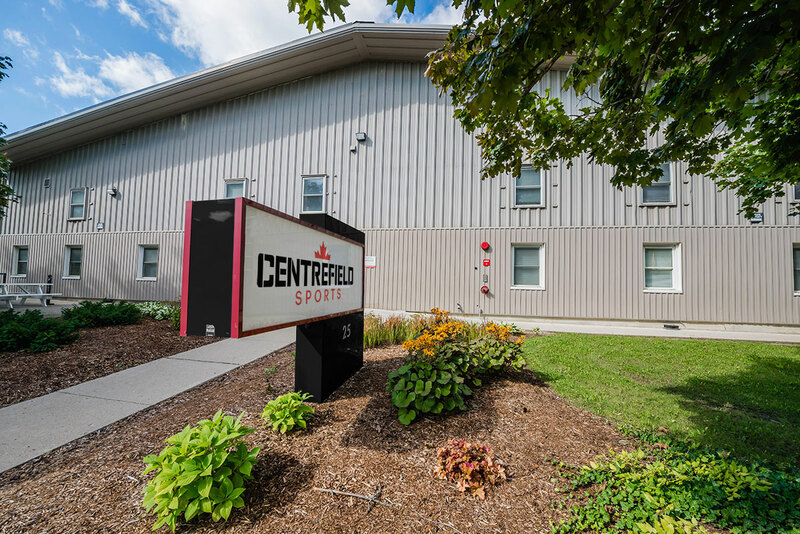 This is an exciting time for Adam Stern and his staff at Centrefield Sports as they work to meet the needs of Southwestern Ontario’s sports community while continuing to ensure that the quality of their facilities, programs and services are unmatched.